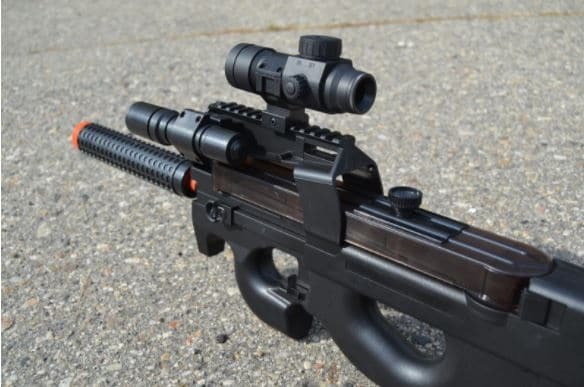 The production of the Well Fully Automatic P90 Airsoft Assault Rifle was meant to be the opposite of normal gun trend which entails long guns that with a thin bezel and a rounded barrel. It is one cheap model on when a comparison is made to other airsoft electric guns available. This is a good choice for those who want a budget rifle but he only problem that will be lingering in your mind is ‘what’s the catch?’ for the cheap price. It follow suite of the original P-90 which was built in Belgium in the 90’s and hence the name Project ninety. For those who may want to try it therefore, it is important to assess the worth of the gun by taking a look at its features. Action: FULLY AUTOMATIC! Gravity Fed, NO CLIPS! RECHARGEABLE BATTERY! PLUG GUN INTO WALL TO RECHARGE! 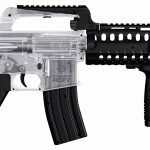 The verdict of the Well P90 Airsoft Belgium Assault Rifle is that a cheap Airsoft electric gun will offer exactly what it cost, good value. In this case, the gun is pretty much standard until the specs come to gravity and accuracy which let the gun down. It could be a good choice if it could fire downwards because it is always fun to fire or snipe downward at opponents. The available alternative to the P90 are fairly a mixed bag of opinions so you will have to make your choice count. 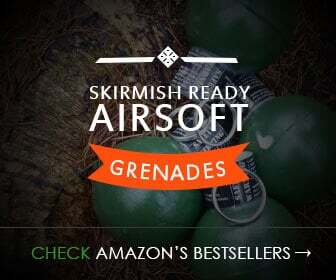 Take a look through AirsoftCore’s Best Airsoft Assault Rifle guide, if you are still looking to find the right gun for you. A decent Airsoft Assault Rifle from a quality brand, offers fully automatic firing from a large magazine. Occasionally prone to jamming. It has a great firing velocity of around two hundred and fifty FPS when using the standard twelve g BBs which is a good deal for the said price. The construction is very solid for a gun of its type which is completely plastic, precisely due to being a single piece. 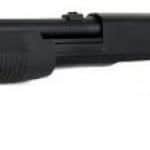 The suppressor barrel included offers more accuracy and makes an impact on the gun noise. The gun misfires or jams often hence not reliable.